Jenkintown senior Jennifer Kremp (14.3 ppg.) drives against The Christian Academy’s Grace Gormley. 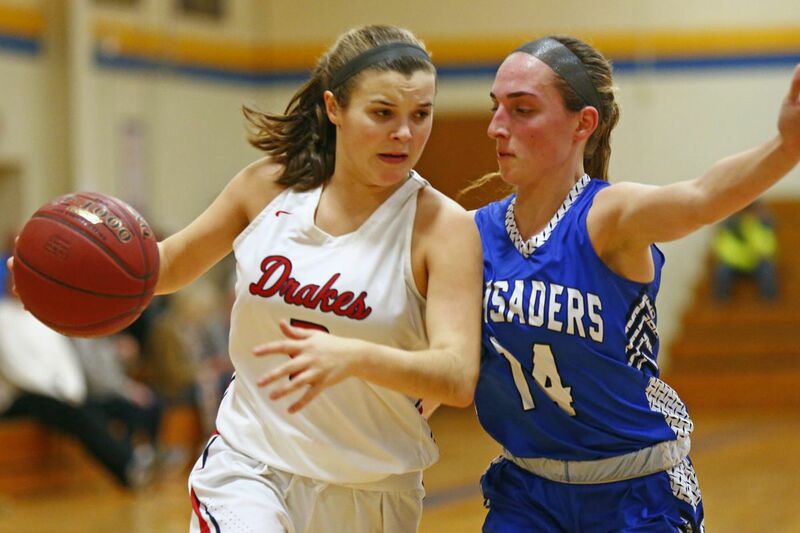 Here are some of the leading scorers in Southeastern Pennsylvania girls' basketball. The statistics are through Tuesday with a minimum of 10 games. Perkiomen Valley’s Megan Jonassen, left, collides with a Perkiomen Valley defender. Notre Dame’s Mandy McGurk (No. 11, right) plays defense in a nonleague game against Springfield (Delco). Germantown Academy’s Rachel Balzer (23) is the top three-point scorer in Southeastern Pa. girls’ basketball. Jenkintown’s Ashley Kremp secures a rebound against The Christian Academy.